This is probably an album that those who actually play a musical instrument will get more out of than classical music fans in general. It's a listening experience that won't be to everyone's taste... mainly because to the untrained ear a lot of the tracks sound like warm up pieces (most notably '...mood, enough' for viola). 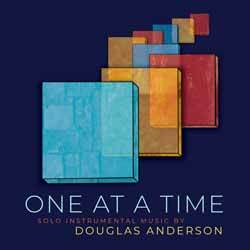 The five part 'Wedding Music', for trumpet and flugelhorn, is particularly interesting, as it was originally composed for Anderson's wedding and so is one of the more intimate pieces on the recording. '…vikings, unless…', for low clarinet, is another highlight which showcases the instrument's range. But hands down, for me, the most interesting track was the closing 'Abe's Rag', which the composer states is his homage to the American composer Scott Joplin. As I said before, it's not going to be enjoyed by everyone, but those who have any sort of musical instrument background should find this intriguing.